It’s time to eliminate the stress from the car-buying experience. Instead of fretting over which vehicle you’re going to choose and/or where you’re going to be making that purchase, why not opt for the route that will satisfy all your needs? In other words, why not pursue a 2019 Toyota Sequoia from Joseph Toyota? To start, the nameplate proves to be one of the most impressive SUVs in the entire industry. The Sequoia manages to deliver incredible performance, enjoyable technology, appreciated comfort features, and a long list of safety functions, all leading to an optimal driving experience. If you’re seeking a well-versed vehicle that manages to impress in practically every aspect, then this is surely the right model for you. Similar to how the 2019 Toyota Sequoia is the perfect choice for future buyers, so is Joseph Toyota. If you’re going to be purchasing your new SUV in the Cincinnati, Ohio area, there’s no better business to visit than this dealership. The competitive pricing means you won’t be missing out on a better deal elsewhere, and their wide array of services will allow you to stay stress-free throughout the ordeal. If you’re looking for the optimal buying experience, then you’ve come to the right place. Don’t believe us? Then check it out for yourself. See why the 2019 Toyota Sequoia is one of the most versatile SUVs in the entire industry, and then understand why you should be making your impending purchase from Joseph Toyota. We’re not going to surprise you by explaining how the 2019 Toyota Sequoia provides owners with optimal performance and power. However, you still might be impressed by the engine that’s lingering under this SUV’s hood. The 2019 Toyota Sequoia manages to emphasize the “sports” in “sports utility vehicle,” as the accompanying 5.7-liter V8 engine proves to be one of the most athletic offerings in the entire segment. The system is ultimately capable of pumping out an incredible 381 horsepower and 401 pound-feet of torque, meaning owners will be more than ready to overcome their fellow drivers when traveling at top speeds. These numbers also have a predictable impact on other areas of the SUV, especially the towing capacity. Owners can ultimately expect to haul up to 7,400 pounds when they opt for the 2019 Toyota Sequoia, meaning you’ll be more than ready for any upcoming road trip. 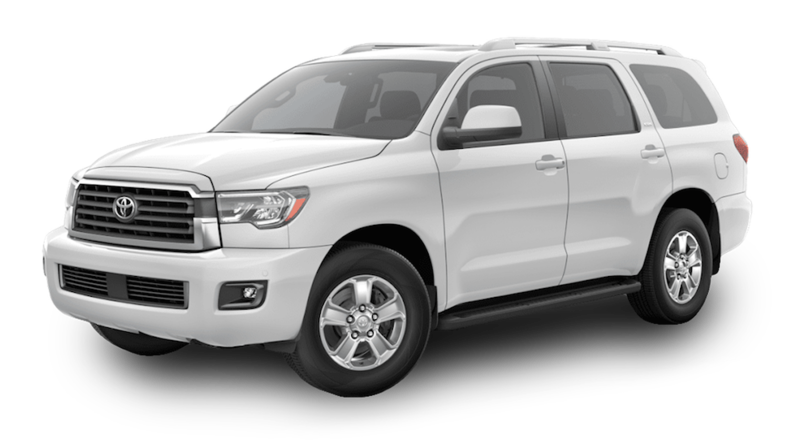 Of course, the 2019 Toyota Sequoia’s power can’t be entirely attributed to the engine… that wouldn’t be fair to the other mechanical inclusions that engineers managed to include in this SUV. For instance, the innovative multi-mode four-wheel-drive technology provides drivers with a number of different driving modes, and the vehicle can adapt its mechanics for the impending road conditions. The Automatic Limited-Slip Differential is another important inclusion, as the system will assure that drivers always have the utmost control of their SUV. You were surely expecting an athletic, sporty ride from your new SUV. However, thanks to the engine offering and the accompanying mechanical inclusions, you can also expect an optimal driving experience. While you’ll appreciate all of the power that’s lingering under the 2019 Toyota Sequoia’s hood, you’ll also enjoy all of the technological amenities that engineers managed to squeeze into the SUV. These inclusions won’t only keep drivers and passengers entertained, but they’ll also play a significant role in boosting convenience. It starts with the Entune App Suite, which is accessible via the accompanying touchscreen. Thanks to these inclusions, drivers can access an assortment of helpful applications, including an integrated navigation unit. That way, you’ll always have some help getting to your destination. Plus, thanks to the USB and Bluetooth compatibility, you can easily connect your smartphone, allowing you to perform many of your phone’s most basic functions. If you’re going to be jamming out to music, then you should consider opting for the JBL Synthesis sound system, which provides occupants with an unmatched listening experience. Including a subwoofer and a JBL amplifier, everyone can always listen to their favorite music in crystal clarity. If you really want to elevate your passengers’ driving experience, you can consider opting for the Premium model. By opting for this variation of the nameplate, you’ll have access to a 120-volt AC power outlet and a rear-seat Blu-Ray player. Your younger passengers can even connect their favorite gaming system, meaning they won’t mind lengthy car trips as much anymore. SUVs make for great family rides, and we’re sure you’ll be cruising around with several younger passengers. Thanks to the 2019 Toyota’s array of technological functions, you can be assured that they (and you) will continue to remain entertained throughout any journey. While we all appreciate the technological inclusions that have been added to the 2019 Toyota Sequoia, the interior doesn’t solely provide fun gadgets. Rather, drivers can also anticipate a number of amenities that will be appreciated during any driving experience. The vehicle can comfortably seat up to eight passengers, meaning your SUV could essentially serve as a de facto bus for your entire family. Of course, if you’re not going to be utilizing all of that passenger space, you can also capitalize on the 120.1-cubic-feet of interior space. It’s more than easy to unlock all of this space, as drivers can easily hide the seats thanks to the 60/40 split, fold-flat capabilities out back and the 40/20/40 second-row seating in the middle. The 2019 Toyota Sequoia even provides several additional places to hide your most valuable cargo. The dual-level glove compartment makes it easy to stay organized, while the array of cup holders means your interior won’t be littered with garbage. The vehicle can even be equipped with a moonroof, meaning drivers can let fresh air flow into the interior whenever they wish. That way, if you’re stuck on a stuffy road trip, you can at least get a little taste of the outside. Comfort is a huge vehicle attribute that often gets overlooked. Well, even if you weren’t necessarily targeting these amenities, you’ll certainly appreciate their inclusion inside of the 2019 Toyota Sequoia. Regardless of whether you’re seeking a family ride or a vehicle that can get you to and from work, you’d be hard pressed to find a more enticing option than the 2019 Toyota Sequoia. 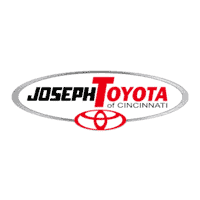 Similarly, if you’re shopping for that SUV in Cincinnati, Ohio, there’s no better place to make that purchase than Joseph Toyota. We are focused on providing customers with the best-possible driving experience, and we partly achieve this via our competitive pricing and vast inventory. There are plenty of logical targets for customers on any types of budgets, and our used options are perfect choices for those looking to save some extra dough. While you may have already focused in on the 2019 Toyota Sequoia, you can rest easy knowing that you’ll still have plenty of options to choose from at Joseph Toyota. Of course, we will do a whole lot more than sell you your new SUV. Rather, the business is also focused on eliminating any stress during your car-buying and car-owning experience. The finance department will help you figure out any monetary aspects of your impending purchase. and they’ll even be willing to extend you a line of credit. Meanwhile, the service department can get your vehicle back in tip-top shape, assuring that any minor mechanical issue will never stand in your way. To top it all off, our flexible hours mean you’ll always be able to find an opportunity to visit the business. So what are you waiting for? If you’re enticed by everything the 2019 Toyota Sequoia has to offer, then head on down to Joseph Toyota today. Who knows, you may wrap up the day by cruising off the lot in your brand-new SUV!